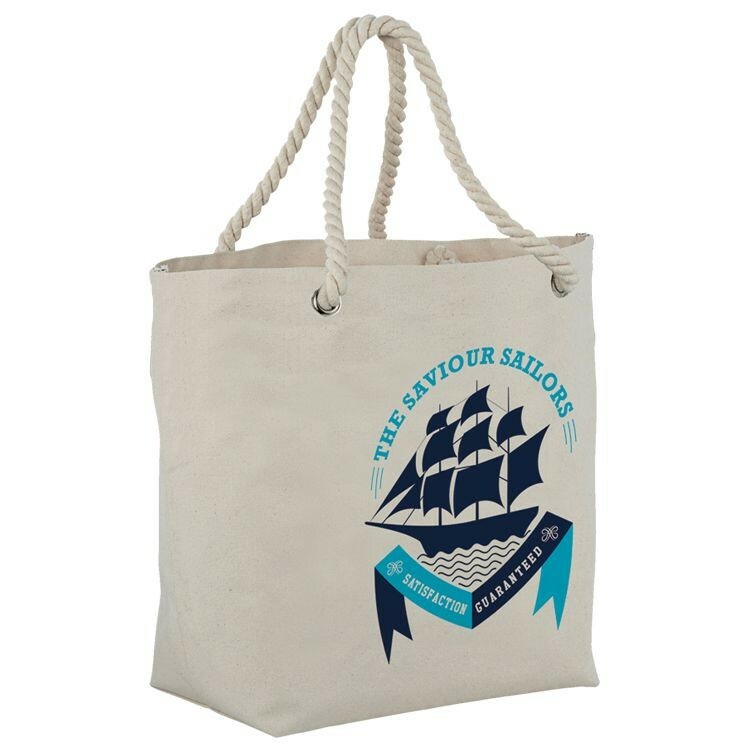 The Nautical Rope Handle Tote bag will stand out at any function or event because of its heavy duty twisted rope handle that gives the bag a fun, nautical look. While the handle is attractive it is also soft on the hands and shoulders while carrying. Large metal grommets not only reinforce the rope handles but also give this bag some added class. The heavier 14 oz. weight cotton material offers a retail look and feel as well as increased durability. The beauty of this bag is that it is still an affordable promotional option for those times when you want something a little unique.